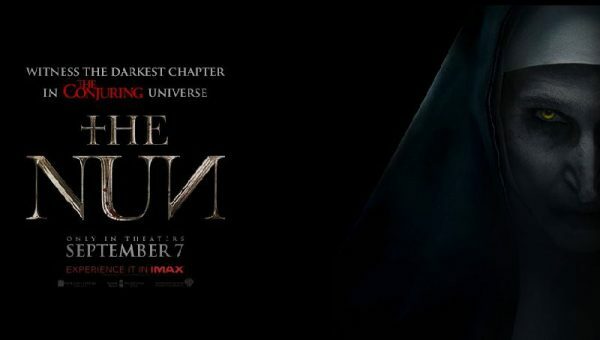 The Conjuring Universe continues its expansion with its latest addition, The Nun. 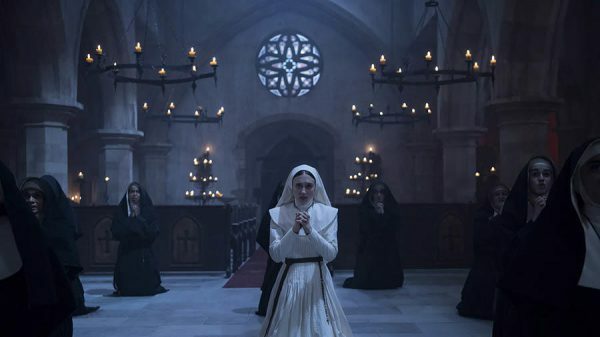 Getting just a taste of Valak in The Conjuring 2, The Nun expands upon the mythos of the demon abbess as the origins of such an evil are unveiled. I’ll get right to the point and say that even though, as I write this, the movie isn’t even released yet but you have already seen this movie. You saw it when you watched The Conjuring 1&2, the Annabelle movies and you’ll probably see the same thing when The Crooked Man hits theaters sometime next year (I presume). 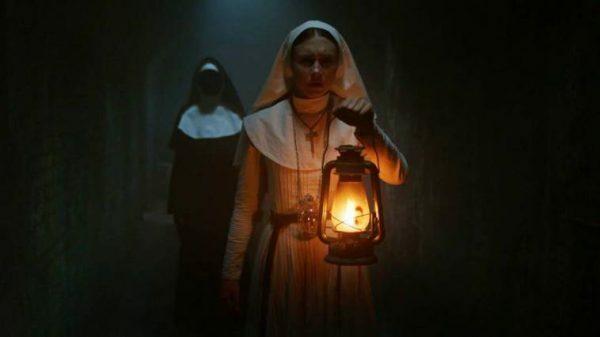 It’s upside down crosses, heavy fog enveloping the ground, double take moments of “Did I see something or not?” It’s not bad but I can’t say that in any way does The Nun hold a candle (pun) to the expertly crafted Conjuring films or the vastly improved upon sequel of Annabelle. If the first Annabelle film is the weak link of this franchise say hello to 2nd place in the race to see which movie leaves us feeling the most empty handed. I enjoyed this movie quite a bit more than Annabelle but that isn’t saying much. The greatest strength of this film is the setting of 1952 Romania. A decrepit castle turned nunnery, a surrounding cemetery filled with countless splintering crosses, it just screams spooky. And yet even its greatest attribute is underutilized as none of it evoked even the slightest bit of fear. I was entertained but by the end I realized not even once did I feel that desired feeling of fright that you hope for in every new horror venture. The imagery is creepy and the overall story is a bit unnerving but ultimately it all feels pointless and ineffective. My palms were sweaty during The Conjuring films but with The Nun it was devoid of truly effective scares or even just moments that could be described as disturbing, even mildly. It all culminates to a finish that sews up a lukewarm, kiddie level horror film. The most haunting moments featuring our favorite demonic Catholic nun all happened in The Conjuring 2. The shadow melding into the painting, Lorraine’s horrifying visions of Valak taking Ed’s life, all terrifying. Repeating some of those moments less convincingly so isn’t what we were hoping for. It’s a superfluous effort of trying to find one’s footing but never quite gripping the toes to stick the landing. 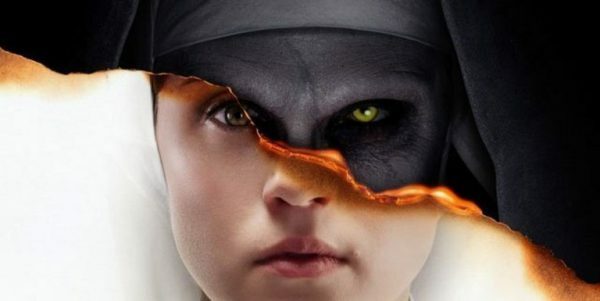 The cast of The Nun is a representation of the film itself, serviceable at best. Taissa Farmiga brings her beautiful face and marketable talent to the table but much like a deer in headlights, her main choice of acting is to freeze and showcase her tantalizing big eyes as they gawk in disbelief. Demián Bichir as a priest is fine and does his job adequately and that’s about it with him. And then there’s Frenchie, oh Frenchie. I’ll let you find out about him on your own. And the demon itself, Valak… She(?) is creepy looking and has the air of intimidation surrounding the history of this thing but when it finally presents itself it’s just as the rest of the film, sufficient with no apparent aspirations to improve upon itself. Everything about this movie simply says that it’s there and if you buy it great if not oh well. There’s no effort to pull you into a story of unimaginable horrors and what they look like under the dim lighting of a naked candle set in Dracula’s backyard. I like what has come before it and for all my complaints The Nun hasn’t diminished my interest about what’s to come in this entertaining world of ghouls and ghosts and pale nuns with Michael Jackson’s nose. It’s a fun film to pass the time and make you wonder what will come next in this ever expanding world but I wouldn’t expect an in depth journey into an inconceivable hellscape. If The Conjuring films were a dive into the deep end of hell then The Nun is a toe dipped in the shallow end to see if the fire is hot or not. Maybe if there’s a sequel it will dive all the way in. Come on Valak, let us swim in a lake of fire with you. 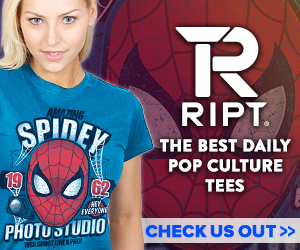 Buy to Own: For the completionist, yes. Next Story → Jennifer Garner Is Ruthless!